Cranky Fitness: What the hell do I do with all this Squash? Zukes are cute? Who knew! If you missed that, you might be in the mood for some ideas. I mean, these guys are healthy, they can be served in a tasty and tasteful manner, but even so... after a few back-to-back meals of these vegetables, you'll come to fully appreciate why they're named Squash. Peasant women perform the annual Stomping of the Squash. Coincidentally, peasant women rarely spend large amounts of cash on therapy. 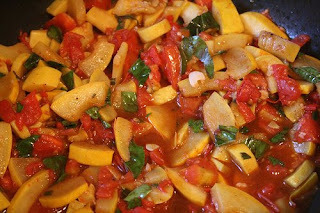 - Cook squash with tomatoes, freeze for later on. Come November, it's dark out and rainy and you forgot to got to the store, serve this with some pasta and you'll feel virtuous. - Make squash fritters with beer. I read somewhere -- can't remember the cook book -- that you should let the beer stay out until it goes flat for best results. Of course, this presumes you live in a household where you have beer around and more importantly where you can leave a half-empty can of beer out to go stale without someone drinking it or throwing it away (or both, hopefully in that order). There are various recipes out there for this; it makes a tasty treat. Not as healthy as some recipes, but it beats the hell out of deep fried twinkies. Really, doesn't taste bad. - squash-with-basil soup. Can be served cold, which makes it nice on hot days. We still have a few of those left, don't we? Anyone for the last piece? - stuffed zucchinis! Why should peppers have all the fun? Hell, you can scoop out the squashy insides and use the shells for salad bowls or Mai Tai drink holders. 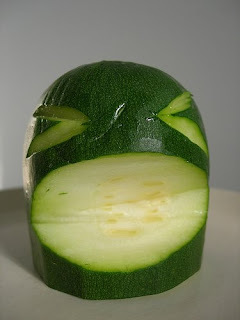 - save them for a month or so and make... Carved Zucchinis! Why should the pumpkins have all the fun? And the fun doesn't stop there! Start a new tradition: Hannukah Squash! They make highly original gifts. Give Aunt Marge a gift she'll talk about for years. What do you do with excess vegetables? Got any good squash recipes/gift ideas? I have no garden, and therefore cannot have any excess vegetables. I'm also jealous that other people have that problem. 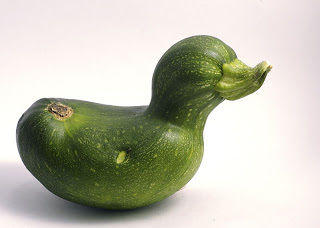 If you google "squash" a bunch of stuff pops up. And I'm sure you could get creative and do a "Mr. Squash-head" as a present. Or make it into a doll. I use squash in pasta sauces, but really love to make ratatouille! Easy, delicious, and healthy. Squash freeze really well. Slice them up to 1/4 - 1/8 an inch and throw them in a freezer bag. Come winter, when all the produce looks sad, you can have squash from the peak of the season. oooh Im in for the hanukkah squash. great aunt gertie will thank you. No Zucchini suggestions. I find zucchini is fairly versatile anyway - doesn't have a lot of flavour on it's own, so can be diced up/grated and added to soups, sauces, casseroles. Cook your squash with a little water until it's soft. Drain squash (reserve cooking water), and mash (if you are making this for me, mash it really well because I don't want any stray lumps of squash, thank you very much). Set aside. Dice up some bacon and onion and saute. When bacon is cooked, add some diced tomatoes, salt, pepper and oregano. Give this a chance to heat through, then mix it with the mashed squash. If mixture seems to dry, add some of the reserved cooking water. Transfer mixture to an oven proof dish. Sprinkle on some grated cheddar cheese. Throw it in the oven and let it bake. Basically, you just want it to be all warmed through, with the cheese all melted and bubbly. Serve with some nice fresh bread and you've got dinner. Growing up, the only way we'd eat squash (the yellow kind is what we always bought) was to cook it with onions, and then mush it up with some butter and saltine crackers. Not exactly virtuous, but kinda tasty in a "comfort food" sort of way. These ideas look much healthier and very gourmet! I've grown it in a home garden! There's a marketing slogan for you. Squash is one of those veggies that I love, but I always forget about buying at the store (my thumb is the opposite of green, so forget about growing it). I shall make it my own personal mission to buy and cook squash this weeekend! Really, Jill? You like squash? What's your address? My trouble is that I hate all vegetables and I have to learn to love them. I like Tricia's idea of a Mr. Squash-head (why should potatoes have all the fun?) and I have already made a mental note to try Javachick's Squash Creole. Either that or I'll have to follow Gena's lead and freeze the dang things. In the fall and winter I make big bots of squash soup for my hubby (I don't like squash) and freeze small portions of it so whenever he wants some, he can have it. 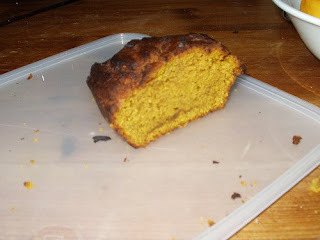 Mmmm... squash cake!! We make chocolate zucchini cookies over here. Sure they look like turds but they taste awesome! I love squash and like many others, use it to bulk up sauces. I made clam chowder this week with zucchini and yellow squash chopped up in it. That is awesome, trust me. Great suggestion to slice it up and freeze it for winter. I hate that the produce selection gets so pathetic when I need comfort food the most. Years ago a lovely New Zealand gal gave us a recipe for " Zuchinni Slice". It's a crustless quiche with grated zuchinni, cheese and egg and it has remained a family favorite over time. I'm not being stingy with the recipe; it's written down at home and I'm at work (EGADS!! Blogging at work! For Shame! 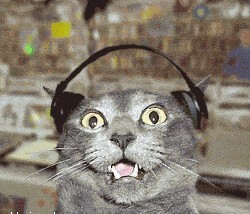 I should take care that I'm not "Dooced!") otherwise I'd share away. The trouble is that my taste buds are in conflict with my doctor! I am totally giving my grandparents squash for Hannukah Squash! I just nuke acorn squash (cut in half, cut side down, a little water and saran wrap) and then mash up with brown sugar and butter spray. Yummmm. Hmmmn... Irene and April both agree on squash soup. I'll have to try it with clam chowder; I hadn't heard that combo. 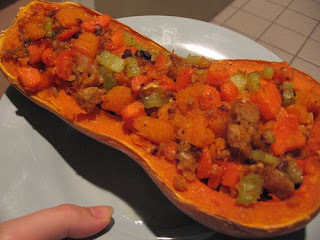 Like Tricia said, there /are/ a lot of squash recipes out there, but I'm hesitant to try some of them. As one person wrote on their blog "a lot of them are crap." If they come recommended by someone, I'm more inclined to go for it. Doesn't the word squash sound like you're stepping no something mushy? The Bag Lady has a recipe for Zucchini Chocolate Cake that is to die for! (Don't know how "healthy" it is though - will have to look) Will post it on my blog when I find it....... It's a little long for the comment section. Alice, vegetable hurling is great therapy if you're having a really bad day! Merry (and anyone else that wants it) I'll post the recipe for the clam chowder with squash on my blog when I get home this evening. 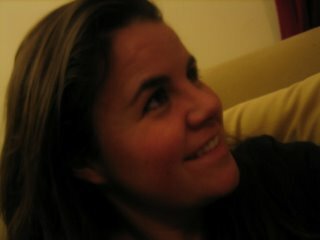 I know *how* to make it but I can't remember the measurements off the top of my head. Duuuude...I tooootally want your squash. I have an awesome recipe for acorn squash bread. It is the yummiest thing ever made. Period. I also have a sneaky recipe from my Mum for zuchinni pie that tastes just like apple pie. And my grandma used to dip zuchinni in cornmeal and fry them golden...yum. I made a really good curry squash (from a recipe, I don't remember where) last year. I don't like curry, but this was really yummy. Cook oil, onion, and garlic under soft (5-7 minutes). Bake squash until soft, add to onion with curry powder and salt and stir. Add broth and bring to a boil. Reduce heat to simmer, 17-20 minutes, until liquid evaporates. Stir in the cream and cook until thickened (5-7 minutes). Can be frozen and reheated later. Can be paired with couscous, and is very good with jalapeno spicy chicken sausage. My CSA has been giving me like 5 or 6 squash every week. Along with tones of tomatoes. Lucky for me I spent some time on the old farm as a child and one year my grandma taught me the secret of what to do with all of those vegetables at the end of summer. My grandma would puree every vegetable she had on hand along with various herbs and spices and lots of tomatoes. This would all get thrown into one of those industrial sized pots and simmered for an hour or two. Then she would package up small portions of the stuff and freeze it. All winter long we would use this puree as a soup base or as pasta sauce. I think she would sneak it into other recipes as well but mostly I remember the wonderful warm soups on the cold winter evenings. Yummy! These are great suggestions! And hilarious, as usual. Especially the last line about "obsolescence" and "chrysanthemum." It's so true. 3 hard-cooked eggs, peeled and chopped. Steam zucchini with onion until the zucchini is just BARELY cooked. Put the zucchini into a flattish casserole dish and scatter the chopped egg over it. Pour the bechamel over that, and give it a generous sprinkling of Parmesan cheese. Bake at 350 until browned and bubbly, about 20-25 minutes unless you let it all get cold. It's really really good with baked ham!!! I don't know why the eggs make such a difference, but they do. I love squash! The stuffed zuchinni looks delicious! My fav way to cook squash is grilled....then throw it together with some steak or chicken....yum! I also love the comfort you get from mashed up squash with a little brown sugar and cinnamon ;) Mmmmm! If the zucchini get really big we put them out in the street and wait for people to run them over. Before 'big' zucchini, I eat them sliced every day for lunch. I force myself to eat them because yummy vegetables are so good for me. My mom would make zucchini bread but she never had to put a zucchini in bread to get any of us to eat it. We'd eat regardless. Zucchini was more of a deterrent. The recipe for clam chowder with squash has been posted on my blog for anyone interested. I love all the ideas here, will be trying a lot of them! I'm perfectly happy to eat squash boiled/steamed/microwaved and lightly salted at least once a day, but I haven't made ratatouille in a lonnnngg time--several years. Must do that soon. 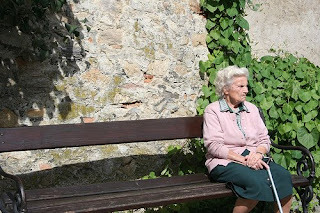 Oh lordy, I wish I could have those days back when my gram and I had zuchs and tomatoes in the rose garden every summer! We'd go out to harvest some fresh squash to slice and fry up for lunch, and find a 3 foot monster hiding under a few broad leaves that somehow got missed.. when it was eating size a few days before, and we'd scream! those were the ones to hollow out and bake with stuff inside, usually ground beef, tomato sauce, celery, tomatoes, of course some of the squash itself from hollowing it out, and cheeses. One time I took a huge one to work to give to my mom, so they found two green balloons, blew them up to the appropriate size, taped them to the end, and left the "sculpture" on the sales manager's desk with a note that read something like "A gift to you from the Jolly Green Giant".. and laughed for weeks! I make soup (add chopped onions, spinach, a few carrots, sauteed mushrooms, garlic, stock, butter and olive oil, white wine and black and red pepper, various spices, and put about a 1/3 in the blender a tiny bit at a time so it doesn't blow up in your face and all over the kitchen! and top with parmesan, serve with garlic bread or grilled cheese), fry it, grill it, steam it with basil and butter or put pepper jack or Romano cheese on it, and I love zucchini bread. Creole squash sounds yummy! I love all kinds of squash.. I sometimes hate living in a condo with no dirt anywhere. Awesome about the stuffed peppers! Excess vegetables: I grill 'em or cook 'em on the stove - olive oil, salt, and pepper. Delicious! This is one of our favorite recipes - easy, quick, and yummy! My children especially like them. Combine squash and onion. Beat in egg. Add flour, baking powder, salt, and pepper. Mix well. Drop by tablespoon onto oiled griddle or in shallow pan with small amount of oil until browned. This is great cooking method for lots of different vegetables. I give you the basic recipe and some substitution suggestions, but feel free to "mix and match" according to what vegetables you have available. Heat oven to 450 degrees. Place vegetables in bowl and toss with oil, salt, and pepper. Line baking sheets with foil, spray with cooking spray and arrange vegetables in single layer - use two sheets if there are too many vegetables. Roast for 30 minutes, stirring occasionally, (rotating pans if using two) until the vegetables are lightly browned and tender. Notes: I usually substitute three or four squash and three zucchini for the asparagus. Mushrooms also work well - although they overcook easily. Might want to add them after 10 minutes. Shilingi-Moja, those both sound like recipes that I need to try right away. They're easy and they seem like they would be extremely tasty! Thank you so much! 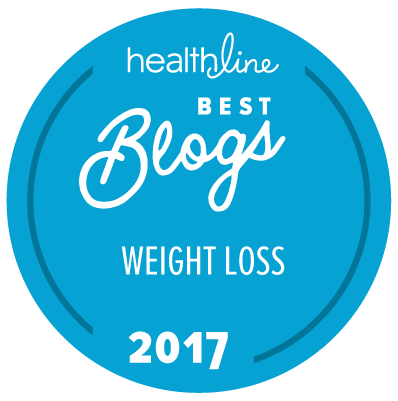 And thank you everyone for the great recipes that you've put up on your blogs! I've been going from blog to blog busily taking notes. There are some creative people out there.